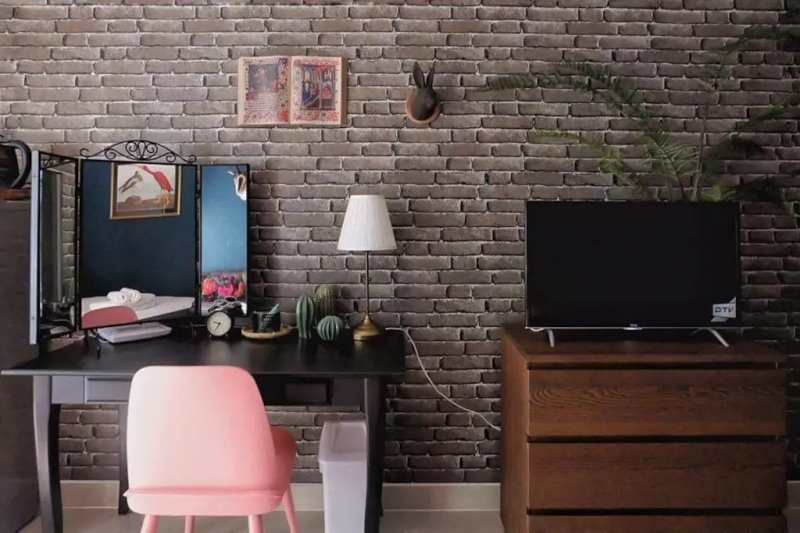 These beautifully-designed Airbnb homes are sure to give the hotels a run for their money. For couples, friends and family, there’s something for everyone on this list. 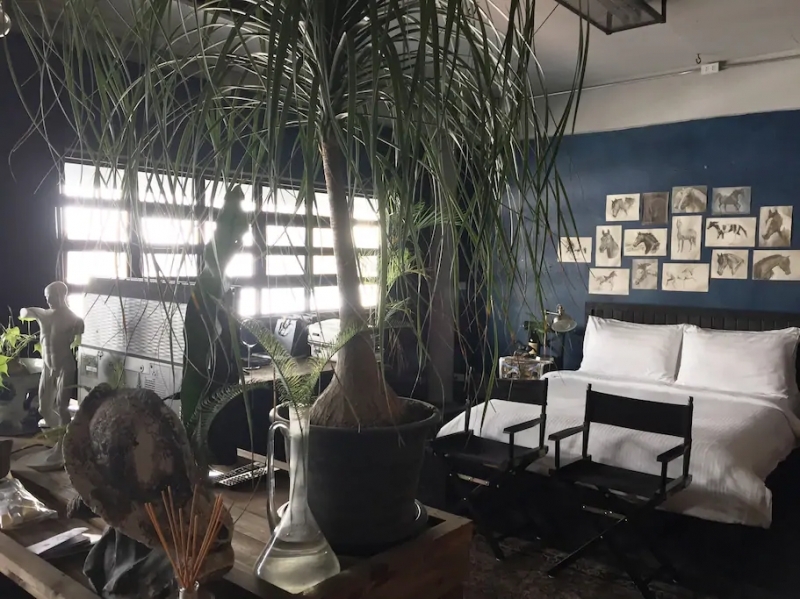 Bangkok’s incredible food and shopping scene is sure to be the highlight of your trip, but your accommodation can also make or break your stay. Sure, you could go with the typical boring hotel rooms that are comfortable and nothing beyond that. 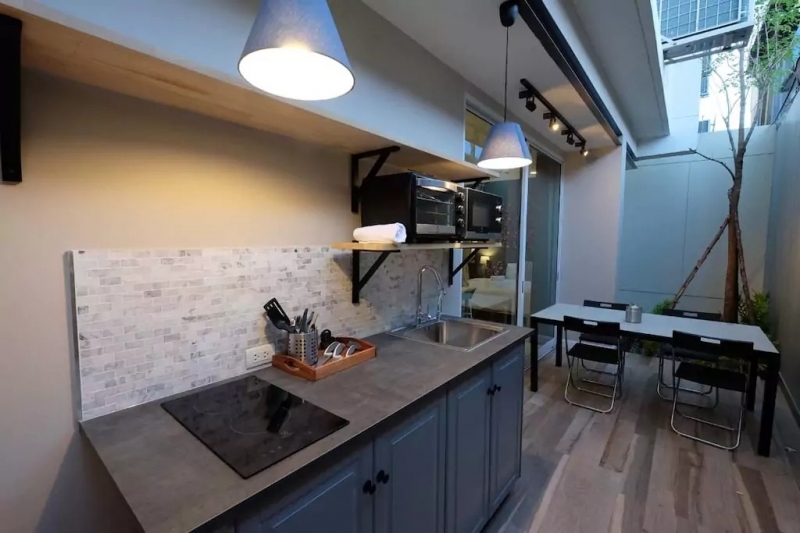 But why opt for those when there are many super cool private Airbnb apartments in Bangkok that are beautifully designed and wallet-friendly? 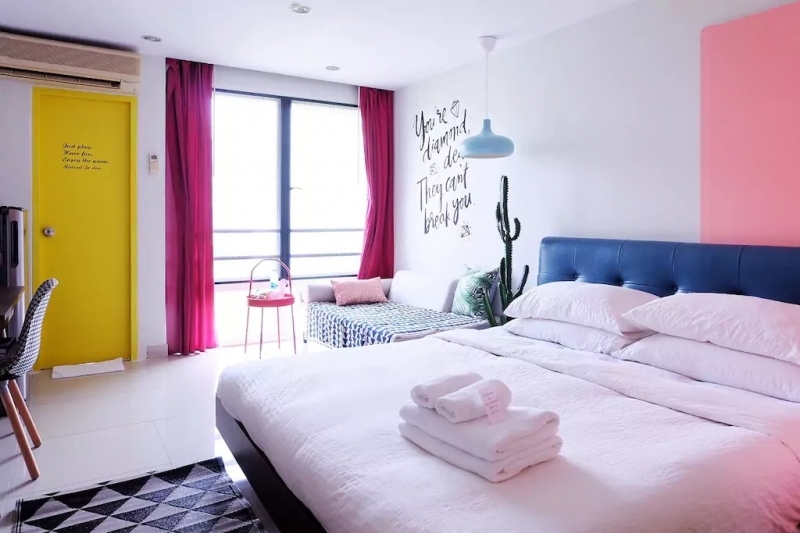 For this list, we’ve dug out some Insta-worthy Airbnb apartments in Bangkok that are also highly rated by previous guests. 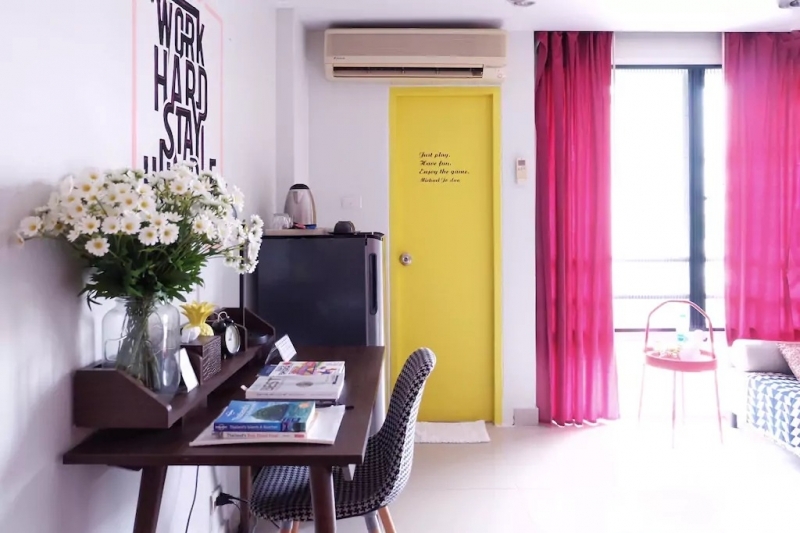 Tucked within a gated neighbourhood in Bang Kapi is this stylish little apartment that’s perfect for two. And yes, it’s as good as it looks in the photos. Toiletries and some snacks are provided by the host, Lana, who’s also very generous with giving information and tips to guests. 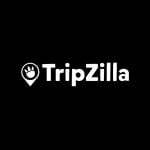 The only downside is that it’s a little far from the BTS and the main attractions in Bangkok, but that’s no problem if you’re planning to Grab or Uber your way around the city. 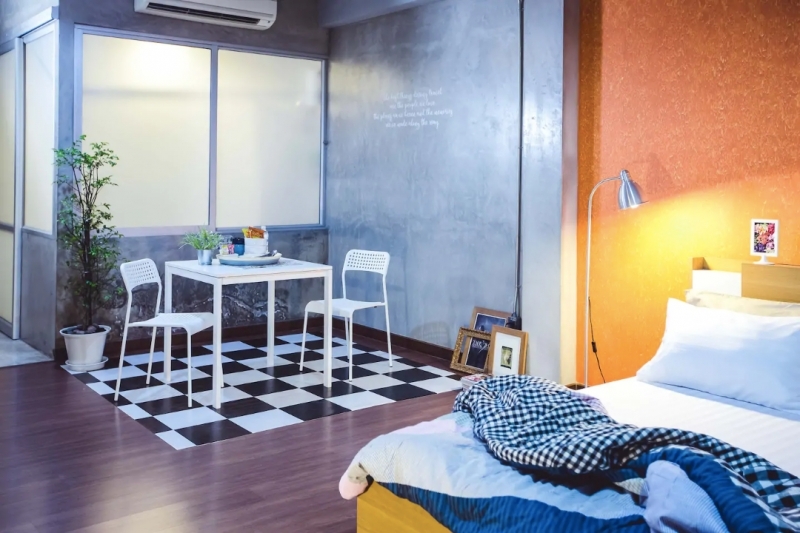 This stylish loft-style apartment is tucked on the sixth floor of Five Stars Ratchada. It's super spacious, with high ceilings and open spaces. 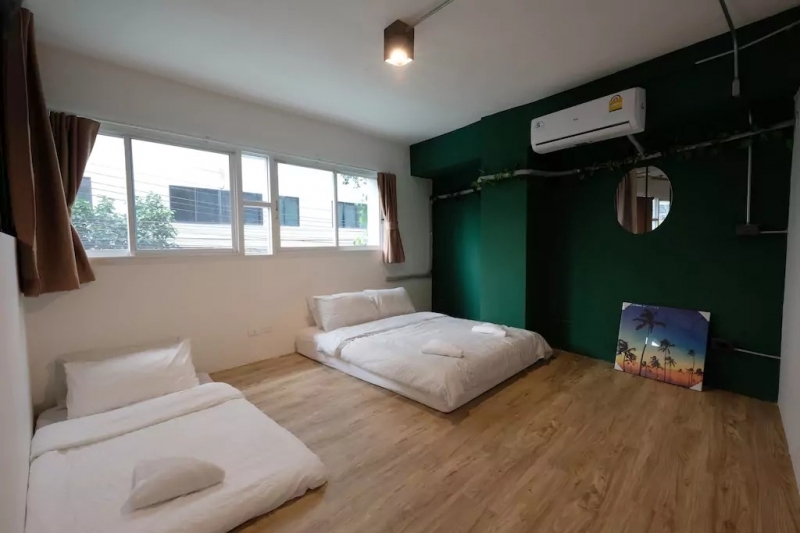 Guests love the friendly host who's always quick to respond, as well as the presence of many convenience stores and the nearby MRT station (Ratchadapisek). 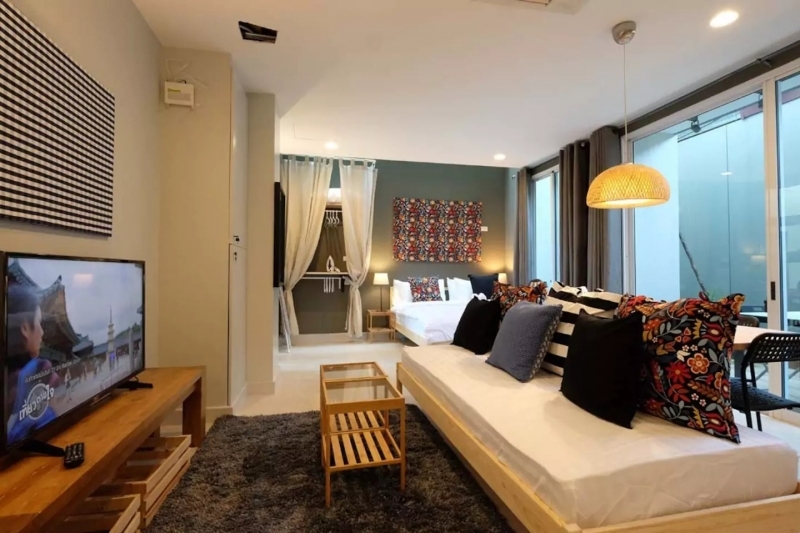 Chatuchak Market is also easy to reach from this apartment. This place is tucked between two train stations, both within walking distance of each other, offering easy access to the rest of Bangkok. 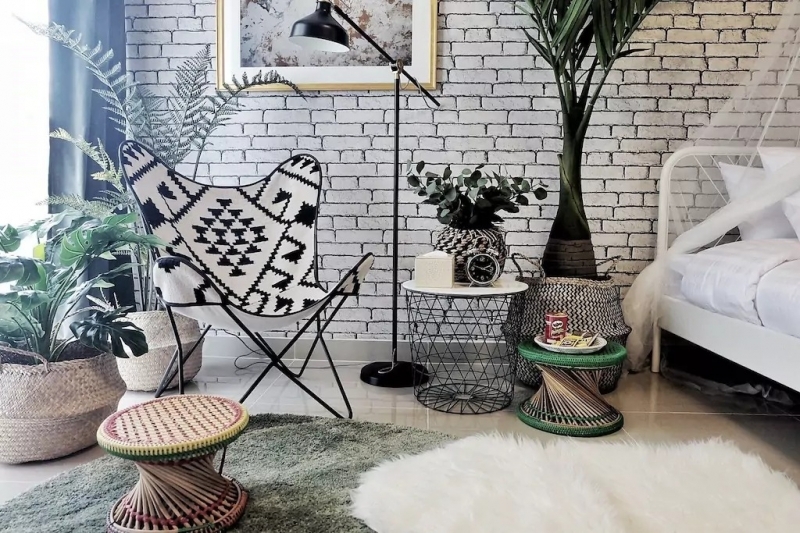 The decor runs seamlessly throughout the apartment, which makes it pretty to the eyes. Not seen in the photos is another private room with a coffee table and a TV. 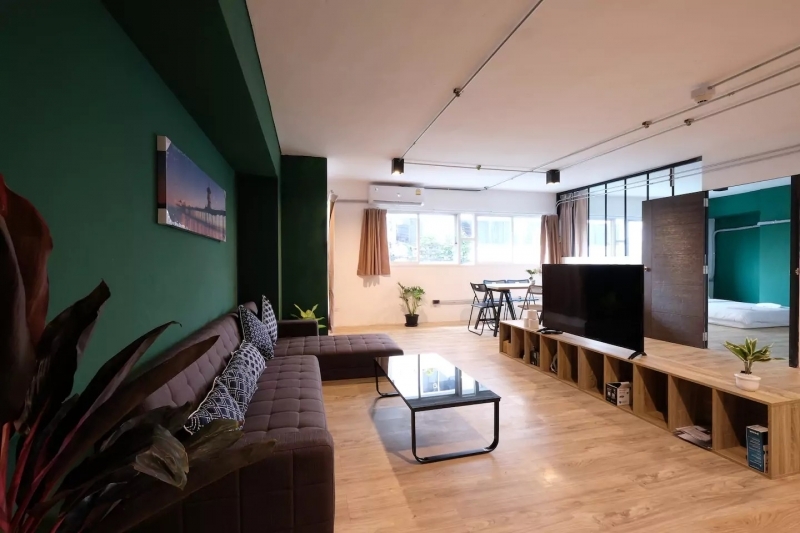 When the cost of renting this apartment is split with a group of friends (up to five), it’s super affordable! 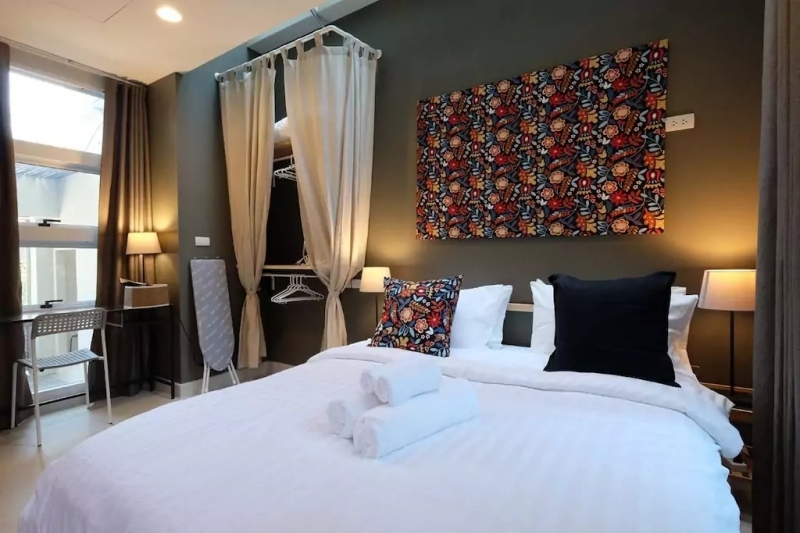 We’d particularly recommend this to those who are on a tight budget or are planning to visit the Chatuchak Weekend Market. Listing name: LOCAL BKK STREET ART, 24hr food, near MRT 10 min. 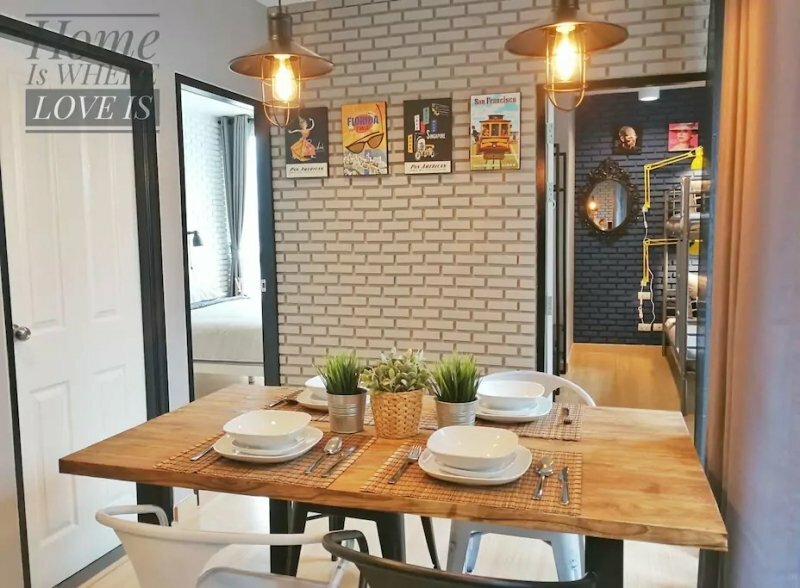 The decor of this beautiful home is inspired by The Street, which is a trendy shopping spot in Ratchada. In line with its theme, there are plenty of street hawkers around the apartment where guests can sample all sorts of local delights. The bus and train station, Big C supermarket, 24-hour restaurants and convenience stores like Family Mart and 7-11 are also nearby. 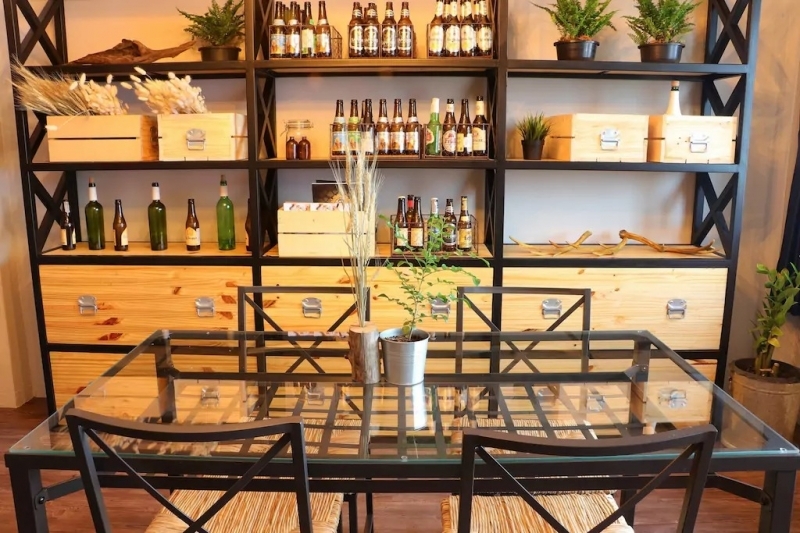 The apartment is in a condominium building within an area that’s more local than touristy. With two bedrooms, a living room and a kitchen, it’s ideal for a family holiday. 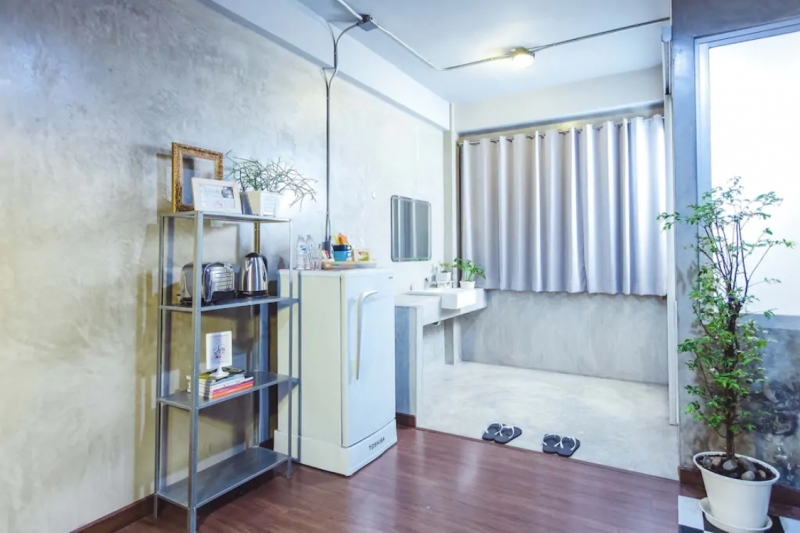 Also great for the whole family is this spacious apartment in a quiet neighbourhood near the Chatuchak Weekend Market. 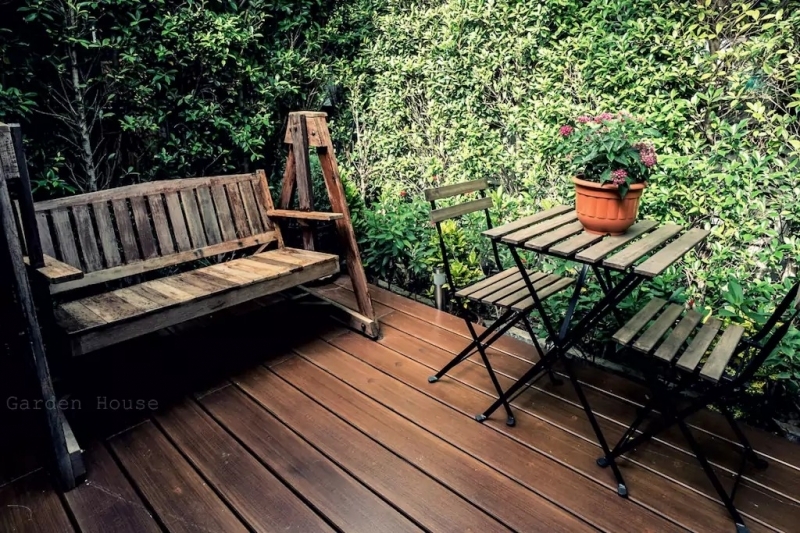 It’s fairly new and you’ll appreciate the tip-top condition of the furnishings. 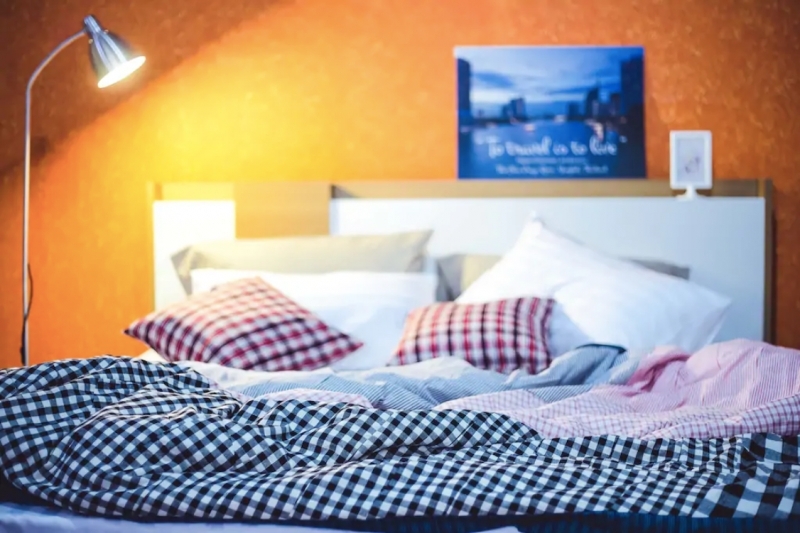 Since it’s a studio apartment, you’ll find the queen-sized beds and a single bed all within the common room – perfect for bonding nights. Laundry and cooking can be done if you wish. 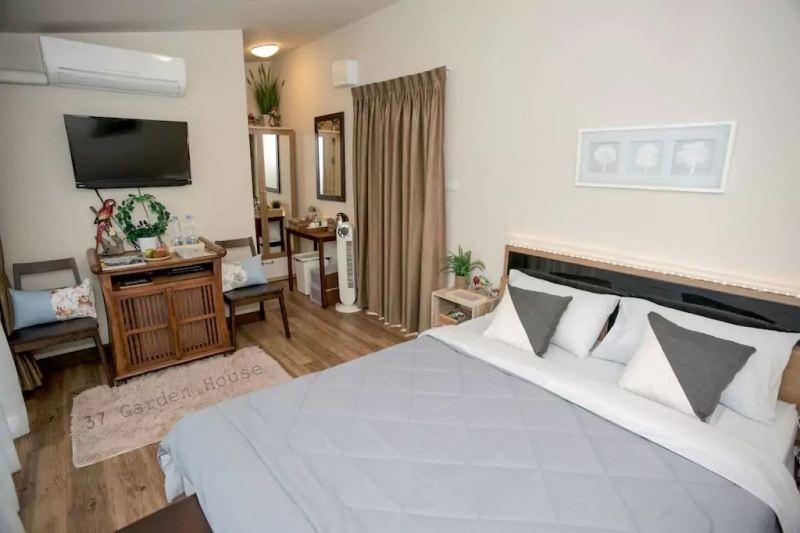 Note that the apartment is at the end of an alley and is a bit of a walk to the main street but still very convenient should you use taxis to get around. 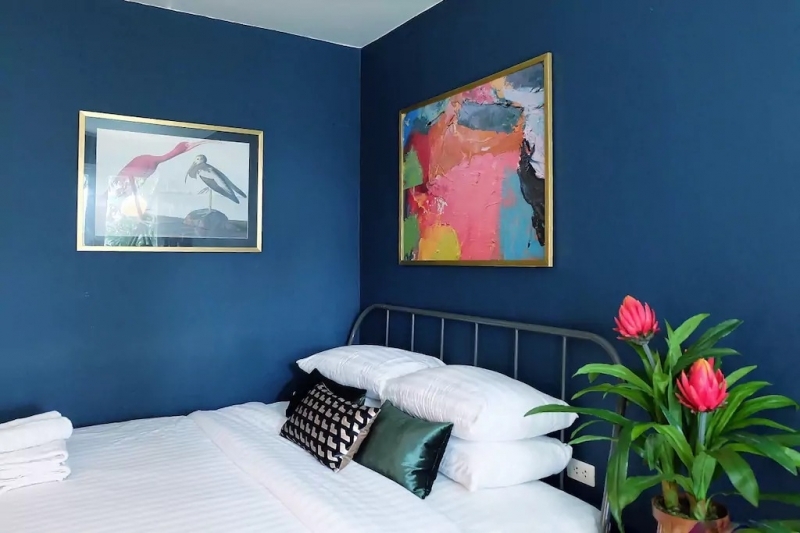 Decked out bold colours, this studio apartment is beautifully decorated by the host, an interior stylist – which probably explains why it looks so good. Plenty of nightlife spots, such as Route 66 and Onyx, are within walking distance of the quiet gated community in which the apartment is a part of. 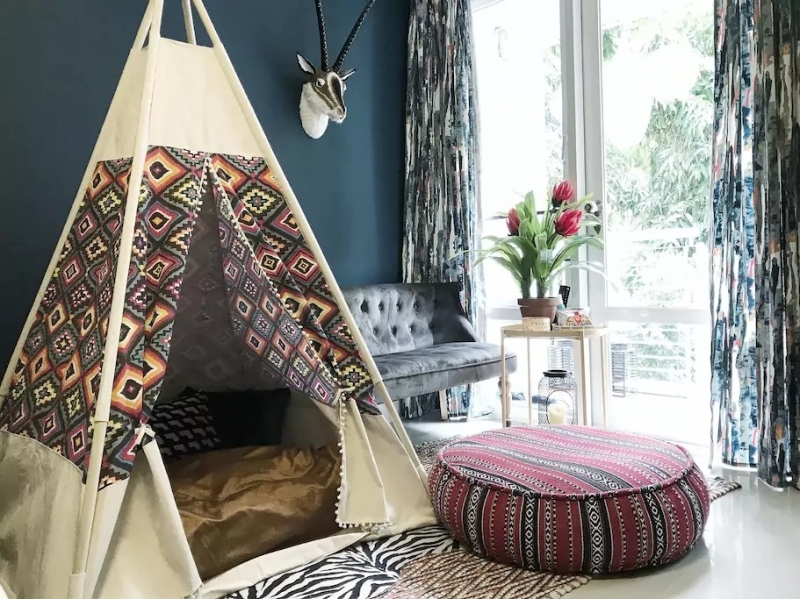 The show-stealer of the room is surely the tepee-style seating area, but it’s the little homely touches that will make your stay a memorable one. This stylish accommodation is offered by the same host as the previous listing and is within the same area as well. 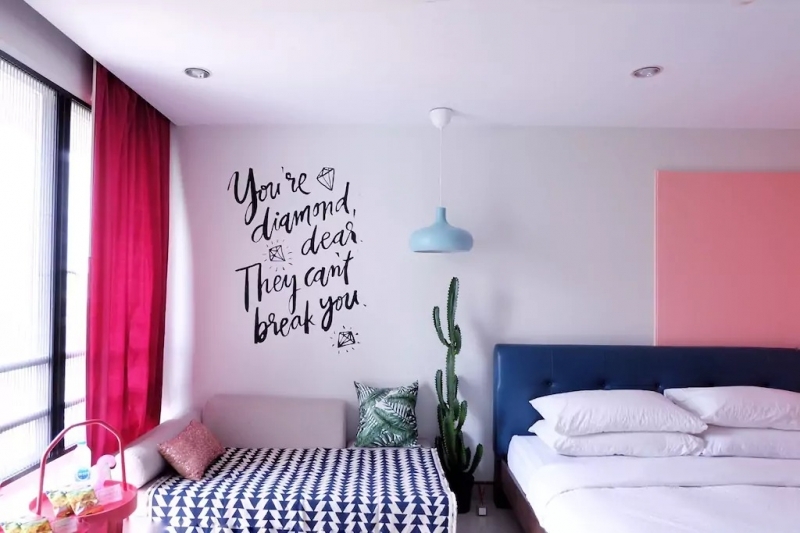 With typography wall art, touches of pastels, combined with bright pinks, yellows and blues, this was clearly a designer’s playground during its inception. In the stylish space, you’ll find a toaster, microwave, water boiler, washing machine and a fridge full of goodies. Eateries and a 7-Eleven outlet are nearby. 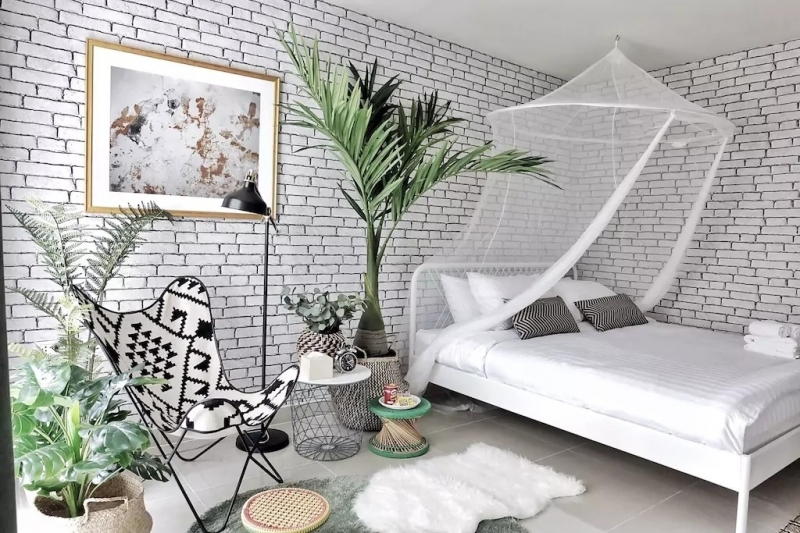 If you’re looking for a crib to fit the whole gang for that much-awaited getaway that took months of planning and coordination, this could be it. As many as nine people can be accommodated in this airy two-bedroom apartment . It’s located in the up-and-coming neighbourhood of Ari that’s filled with quirky cafes, boutique shops and hip eateries. After a day of exploration, there’s plenty of space in the apartment for a games night or just to sprawl and chill out together. If you're into all things wonderfully weird and wacky, this stylish room in the Mustang Nero is right up your alley. 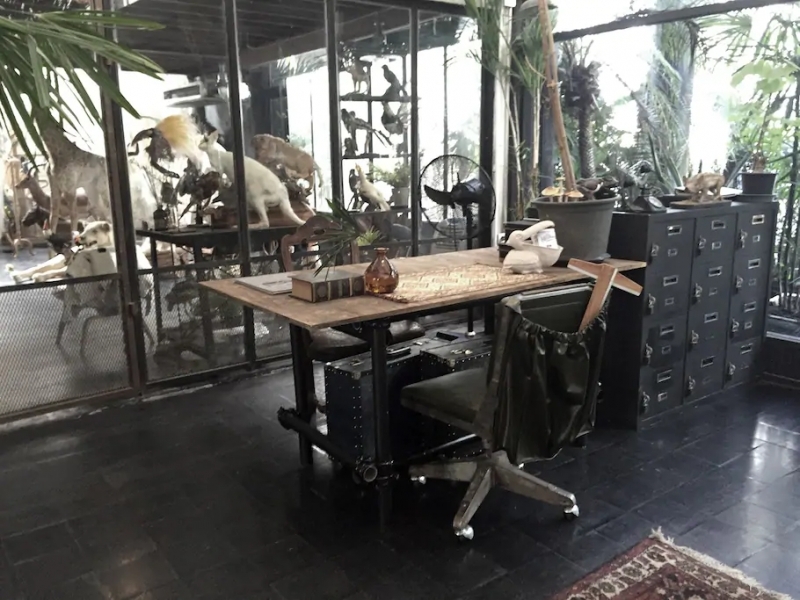 It's full of plants, taxidermied animals, and Instagram-worthy corners. With over 400 five-star reviews, this accommodation is not just aesthetically pleasing, it hits the right spots in terms of comfort too. The Mustang Nero has plenty of eating options in its surroundings, and if you'd like to venture further, the sky train is a short walk away. While it's on the pricier side of the scale, you'll definitely enjoy this stay! 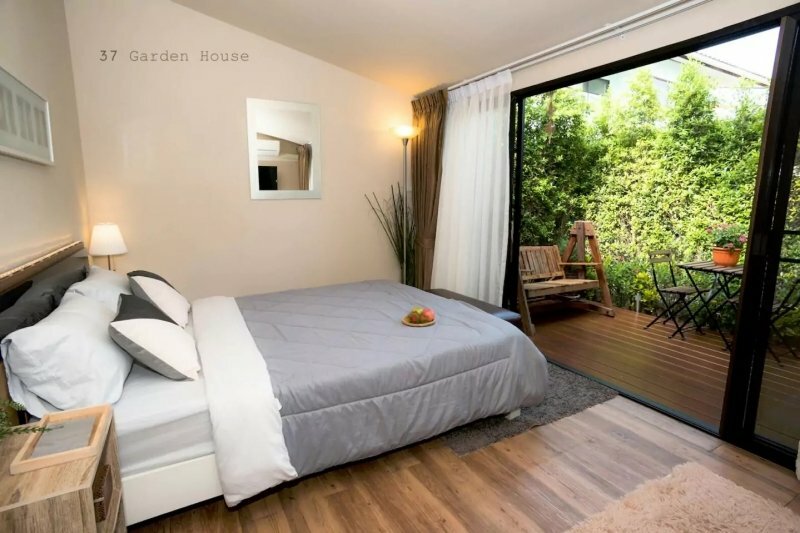 With a modern bedroom that opens up to a lush garden with rustic seating spaces, this place is truly for the nature lovers. Nature house is very close to Don Muang Airport and it makes a great last stop before flying home. You’ll wake up to the birdsong and feel immersed in nature – a great respite from the urban jungle that is the city of Bangkok. The host provides two bicycles so you can explore the neighbourhood on two wheels and pop by restaurants, cafes or markets. There’s even a 7-Eleven nearby so you’ll have no problem getting food at night. 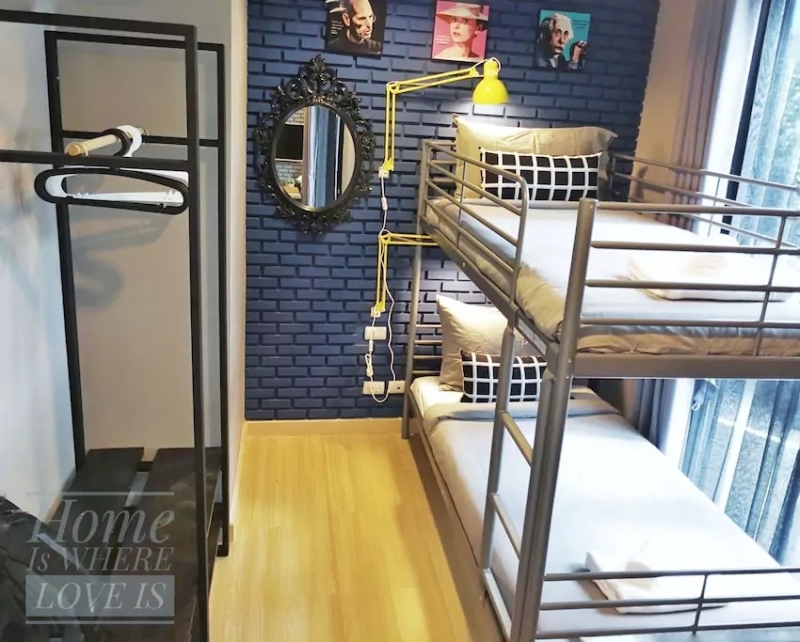 We hope that you’re full of excitement knowing that your next Bangkok trip is going to be accompanied by a beautiful Airbnb apartment. Happy choosing!